Little story. 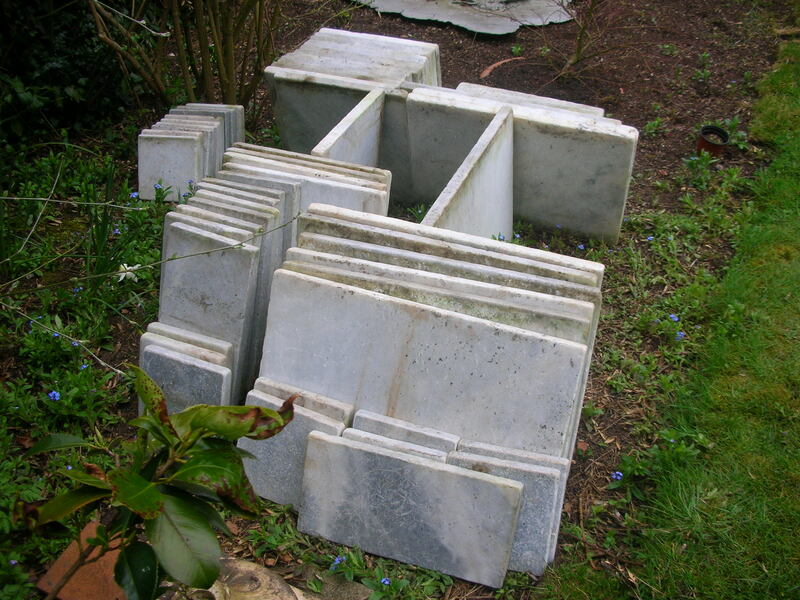 In March 2008 I bought, rather impulsively, a crate of blue azure marble from a small paving company a few miles from where we live. It was for a tiny courtyard in an extension we planned. We soon discovered that the cost of the courtyard would be out of our league. In November 2008 I emailed the owner of the paving company to ask if he could hold onto the marble for the time being. He said no problem. In January 2010, I emailed again to ask if he still had our marble, if he would like to deliver it and what did we owe him for storage and delivery. He said he still had it and could deliver it when we needed it. Further emails revealed that although we had plans for the marble, we did not need it immediately and he said he was happy to hang on to it. On the 9th March 2013 I emailed again to say that I hoped he might still have our marble. No reply. I rang and found the number discontinued. Then we visited the site of the company. It was derelict, the buildings empty, broken crates of stone all over the site. We looked for half an hour but there was no sign of our marble. I had to accept that I had lost it and it was entirely my fault for failing to arrange delivery. I could hardly blame the owner for selling off anything he could, presuming the paving company had gone bust. Today I had an email from the owner to say that he had closed the business in 2010. He still had my marble and had just loaded it into his van and was about to deliver it. He had carried what was for him a worthless load to his new address and kept it ready to deliver to us. He allowed us to pay a small sum for delivery, but that was all. It is good to have a reminder that the world is full of decent human beings. My dream greenhouse may yet come into being one day. This entry was posted in Gardens and tagged marble by hilarycustancegreen. Bookmark the permalink. We all need stories like this to renew our faith in human nature, don’t we?! Keep us informed on the greenhouse’s progress. Will do. it’s a little way off (years?) at the moment, owing to the drive project and one or two other priorities, but I will get there in the end.